is dedicated to providing the highest quality in home health and personal care services for the valued patients in our community. Our participants’ individual needs are carefully assessed and fully met by our trustworthy and compassionate clinical aides. For information about our services, please click below. 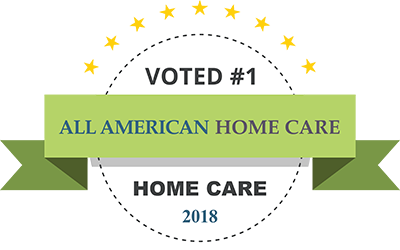 WHY CHOOSE ALL AMERICAN HOME CARE? Our certified, experienced caregivers help our patients enjoy a higher quality of life at home. Home care for your loved ones is available around the clock, even nights and weekends. Every member of the All American Home Care team approaches patient care in the same way we would with our own family. All American Home Care firmly believes that few things are more important than community, and we show our appreciation by always striving to give back. 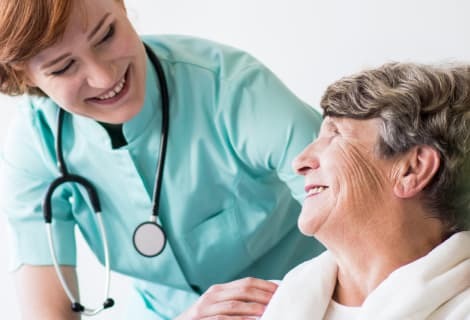 Home health services are those that help clients of all ages, from children to senior citizens, remain in the comfort of their own homes while receiving additional care either after a stay in a medical facility or to avoid hospitalization. 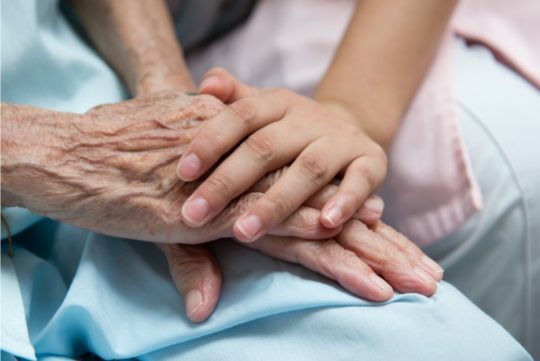 Home care is a range of health and medical services that are designed to provide care to clients of all ages, from children to adults to senior citizens, who prefer to remain in the comfort of their own home instead of a hospital, nursing home, or medical facility. Home care comes in a variety of forms, and All American Home Care is dedicated to providing the best quality of care possible for each of our patients. Please visit our “Services” page for more information on how home care can help you or your loved ones. If you’re looking for high-quality American in home care for your loved ones in Pennsylvania, look no further: we are ready to help you look after senior members of your family. As of now, our All American Home Care agency is concentrating most efforts in one location - the state of Pennsylvania, so you can be sure that our home care services are thought out to to the slightest detail and designed to bring our patients as much help and relief as possible. Let’s take a closer look at what we have to offer you and why you should choose our home care agency. Home care is becoming more and more popular in America because it allows your loved ones to enjoy the comfort of their homes while getting all the medical help they may need. You can come visit them any time you want, and it just feels good to know that senior members of your family don’t have to be uprooted from their cozy homes once their health requires daily medical attention. As an American nursing home health care agency, we aim to offer our community as much as we can, so we are constantly evolving and expanding the range of our services. 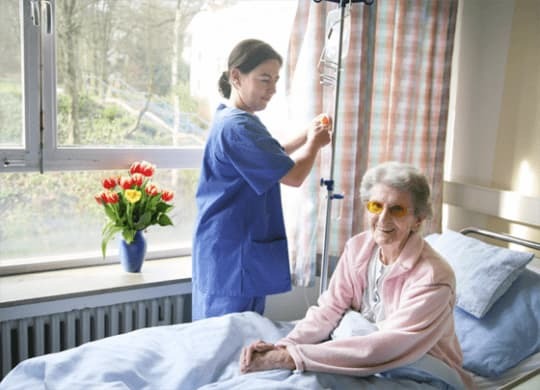 Currently, we provide hospice and palliative care, as well as home health care to dozens of satisfied clients. We also participate in home care waiver programs, so if a senior member of your family is going to need professional health care on a daily basis for an extended period of time, we could be just the service you’re looking for! If you’re interested in home care waivers, you may find out more about them on our website. We are also glad to help you check whether your senior relative is eligible for any home care waiver programs offered by the state of Pennsylvania. You can use the contact form on our website, call us, or come to one of our offices in Philadelphia, Allentown, and Feasterville. Even though our American quality home care services are primarily aimed at senior patients, we are ready to provide professional home care to anyone who needs it, regardless of age. Our staff has experience working with patients of all age groups, including small children, so you can be sure that your loved ones will be assisted by someone who knows what they are doing. We as a company value every single client who turns to us, so we are constantly searching for ways to improve our services and we don’t hesitate to implement them. As you can see in the “Reviews and news” section of our website, the majority of our patients and their families only have something good to say about us, but we are also open to negative feedback from clients who have found their experience with us unsatisfying. 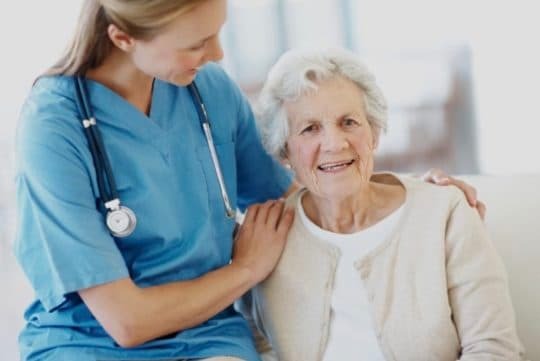 Should you have any complaints or suggestions based on your own or your loved one’s experience with our American senior care home health agency, you can be sure that they will be taken very seriously and consequently, our services will be improved. We also value our staff members and realize that they are not just temporarily hired workforce, but the essence of our American united home care company. Thus, we respect our nursing specialists, encourage them to grow professionally, and make sure they have optimal conditions to focus on their patients. What’s more, we also have a rigorous selection procedure, so that only the best healthcare specialists in Pennsylvania can join All American Home Care. When interviewing candidates, we pay attention to not just their professional skills, but also their personalities to ensure that they are genuinely interested in helping people and forming a bond with their patients. As a result, you can always count on getting the best professional medical help from our team members. American home care express services can be expensive, and we get that. That is why we strive to provide our clients with as much information regarding alternative home care financing sources as possible. For instance, some of our patients who have a Medicare health plan may be eligible to have a part of their home care costs covered. If you would like to find out more about this and multiple other financing options, feel free to visit one of our three offices in Pennsylvania, where our staff members will help you with eligibility checks and answer any questions you might have. You may have been looking into other home care options, such as the American Mercy Home Care company. While we are sure that your experience with those agencies is probably still going to be positive, we would like to point out that few home care companies treat their patients like family, and that’s exactly what we do. Our staff members are passionate about their jobs, and they help our patients because they enjoy making a difference in someone else’s life. They are not motivated by paychecks and corporate benefits, and we would like to think that they are exactly the people you can trust with taking care of your loved ones.